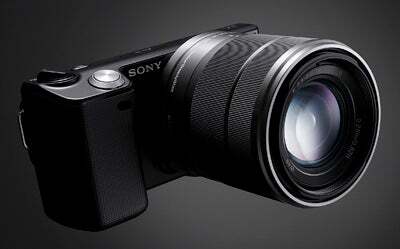 Sony has announced its own mirrorless interchangeable lens camera system, with two new models, the Sony NEX-3 and Sony NEX-5. The cameras are the first models in a series which is designed to rival the Micro Four Thirds system from Olympus and Panasonic, and the Hybrid system from Samsung. 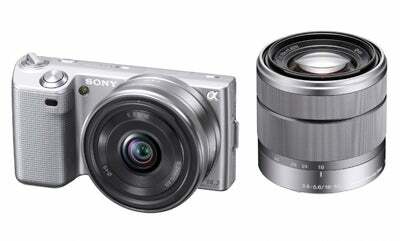 Like those systems, the Sony NEX cameras feature a DSLR-size sensor (in this case a 14.2MP Exmor CMOS) and interchangeable lenses (via a new E-mount) but by dispensing with the mirror assembly of DSLRs enable the cameras to be little bigger than compacts. 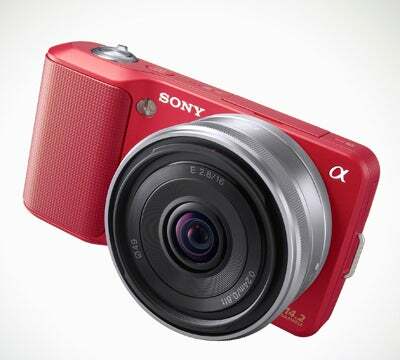 Key features of the flagship Sony NEX-5, which is the world’s smallest and lightest interchangeable lens camera, include full 1080i HD movie recording, tilt-and swivel LCD screen, Sweep Panorama with 3D capability, and a 7 frame per second burst mode. Three E mount lenses have been announced for the NEX cameras, including the E18-55mm F/3.5-5.6 zoom, the E18-200 F/3.5-6.3 zoom and the low-profile E16mm F/2.8 ‘pancake’ lens. 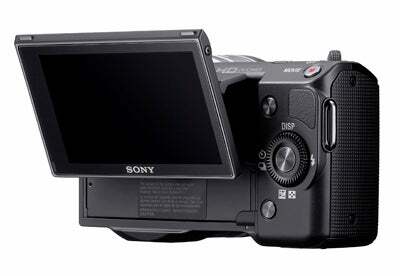 In addition, the LA-EA1 mount adaptor enables Sony’s Alpha lenses and converters to be fitted. The cameras will be available this summer. Prices are yet to be announced.